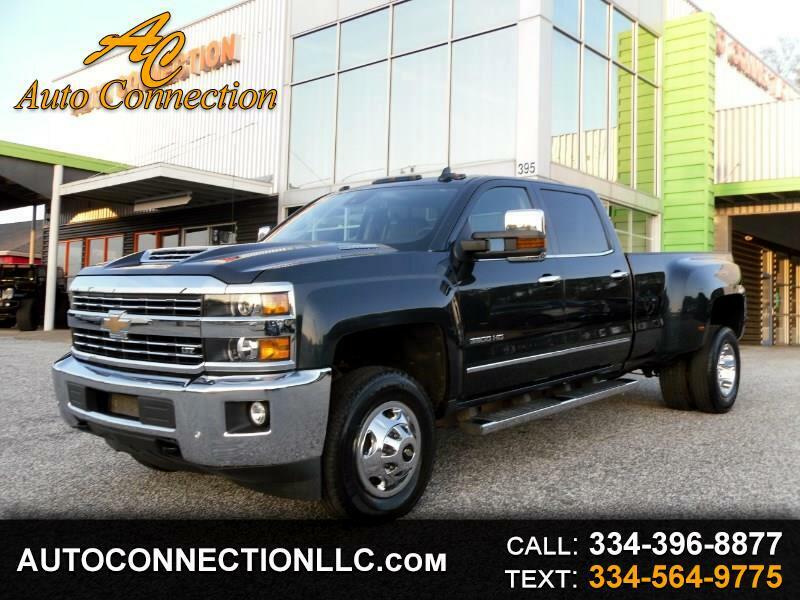 2017 SILVERADO 3500 LTZ 4X4 CREW CAB DIESEL DUALLY! $67,450.00 MSRP! Graphite Metallic over Cocoa\Dune leather interior with wood trim, DURAMAX PLUS Package, Allison Transmission, LTZ Plus Package, Heated and Ventilated seats, Heated steering wheel, Driver ALert Package, Lane departure warning, Forward collision alert, Safety alert seat, 3.73 ratio rear axle, 5th wheel package, rear view camera, remote start, Bose premium sound, CD, SiriusXM Satellite radio, HD radio, Bluetooth, Onstar and much more!Factory warranty! Non Smoker! 1 Owner! Carfax Certified! Excellent Condition!